Amy gets opinions from lecturers and students regarding the upcoming strike. 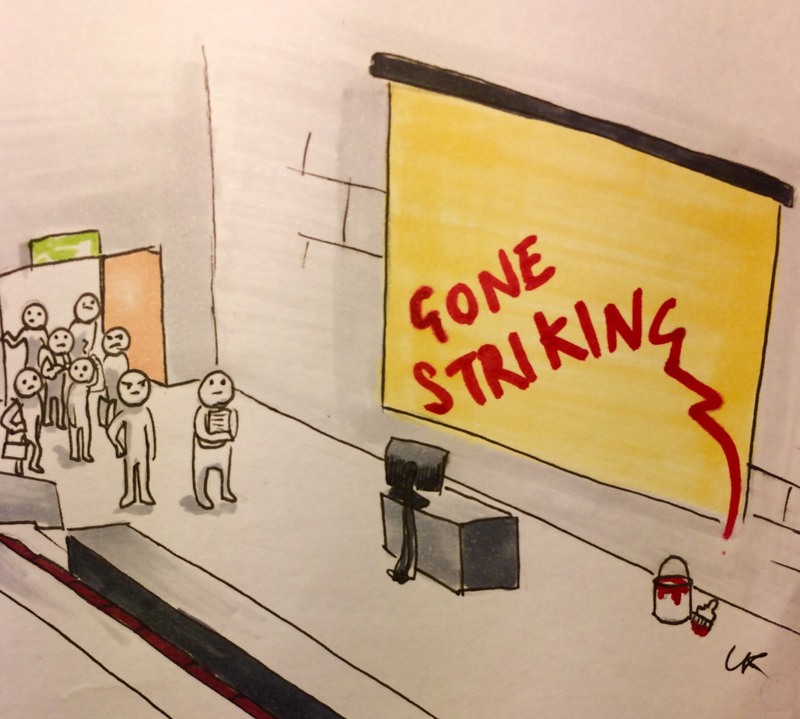 Members of the Universities and College Union (UCU) voted on the 22nd January overwhelmingly in favour of strike action against Universities UK’s (UUK) change in policy regarding pension. With the new policy university staff now face a potential 40% loss of their final pay out, with their pension now reliant on the investment of their money in the stock market and, subsequently, how well it preforms. This has led to fear from staff that, should there be another economic crash, their future security would be put in danger. Lecturer Deborah Sutton, a UCU member who voted to strike, has deemed the action an “unnecessary gamble” and even went as far to say that “there is more anger about this than there has ever been about any other issue”. Yet while the fears surrounding pensions are more than valid for the university staff, there is the question of those stuck in the middle. The students. Students at Lancaster University, as advertised on their website, are meant to receive a minimum of 12 contact hours per week and a maximum of 15. Not a lot of time for £9,250. As the strike is set to last for a minimum of two weeks, if by some unfortunate circumstance all of a student’s lecturers are on strike, the student loses £308.34 per week. That’s £616.68 over the two week strike period. This begs the question, why should the student lose over £600 that they have paid for a service that they are now being refused? A second year maths student said “it’s unfair for us to suffer for the issues with the staff, I understand [not striking] would be less effective but we pay a lot of money for our lectures”. When asked if she felt lecturers even had the right to strike she said “no, they’re simply being put in the same position as everyone else who works”. Mark Hurst, a lecturer on human rights and the history of protest, stated that there is a bigger issue here that needs to be addressed. The relationship between the student, the lecturers and the university as an institution needs a better definition. “If we were to move to a system where students are considered outright as customers then yes there should be some sort of compensation but I think that fundamentally that’s an unhealthy relationship and an unhelpful relationship for students and staff to have”. Education is a public service, partially funded by the government, in terms of higher education, and this issue of compensation would not arise if we were talking about high school teachers striking, but the fact remains that the anger surrounding extortionate fees is one that is once again brought back to the surface when issues such as these arise. The confusion surrounding the definition of the university staff as working in the public or private sector also complicates the issue of pensions. Whose responsibility is it to make sure that the employees in question are looked after? If not the government, then the universities? And how should the university spend the money paid by its students? There are infrastructures surrounding these issues that need better definitions and until these definitions are made clear we cannot give a clear cut answer to, should students be compensated? Regardless of this, one thing is clear, the lecturers may be the only face that students can associate with the institution of a university but they are not the university. The university on the other hand is nothing without the lecturers. Without their lecturers the university loses its function and students lose their access to a good education. So the question must be asked? Why are we angry at the lecturers who are simply trying to ensure their security as they enter retirement? Dr Sutton reminded me that the UCU voted against, and continues to fight against rising tuition fees. As such lecturers can’t “accept any liability for the cost of the degree”. While some students may feel that the lecturers are “playing chicken” with their degrees the fact remains that this is not a decision that has been taken lightly by staff. Dr Sutton encouraged the students to “be a part of that disruption [which Sally Hunt, the leader of the UCU, called for] and let the strike end as soon as possible… We’ll organise teach-ins on the picket lines”. It is clear that the lecturers have no intention of disrupting the education of their students, but that this is about getting support from their employers. Dr Hurst reasserted this claiming “you will often find that people go on strike but are actually still doing stuff behind the scenes. They’re still giving students feedback. So there’s a weird situation, they’re giving up their pay for doing the job they’re doing, for the care of the student they’re working for, to make a political point”. The support from the staff is there for the students and surely they deserve the same amount of support returned. Both staff and students were more than willing to discuss the strike – the only response received from the University representative on the issue was a copied and pasted generic statement that failed to actually address any of the concerns raised. It seems clear that staff and students alike are feeling resentful towards the system and unfortunately the staff are the ones receiving the brunt of the negative attention. For a strike to work, it requires those in charge to listen and be open to change. The only way to do this is to get the students to join with the staff; not to create even more tension amongst the already strained relationship. If we, as students, are not content with the situation we are put in, we need to make that clear to the university and follow the example our lecturers are setting for us. So, by all means, be angry at the system but not at your lecturers.